Reinforcement exercises are a helpful tool when teaching children healthy communication and behavior habits. 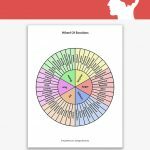 With positive reinforcement, a child learns what types of behaviors elicit positive reactions from people. 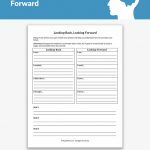 Through using positive reinforcement techniques like reward systems, children can learn how to behave well in school, at home, and in counseling. 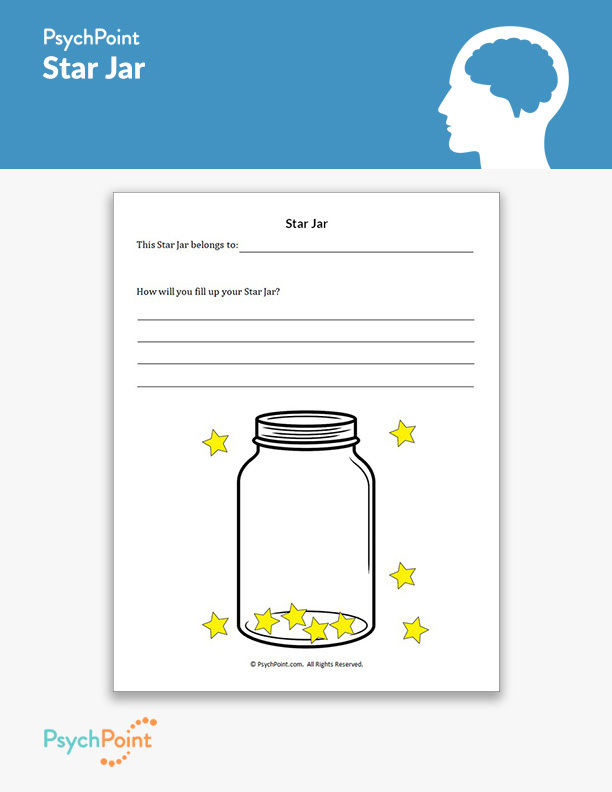 This is the Star Jar worksheet. 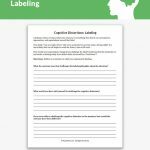 On this worksheet, you will find a jar that is intended to collect star stickers that are earned from the child’s good behaviors. Every time the child exhibits good behavior, he or she is rewarded a star to place in the jar. 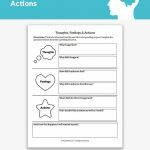 This worksheet is great for positive reinforcement exercises because it helps children learn effective communication and behavioral skills. It is also instrumental in teaching effective parenting skills to parents who are struggling. On this worksheet, you will first record the name of the child. Then, you will record what the child needs to do in order to earn a star. When the child behaves in a way that allows him or her to be rewarded a star, they are given exactly one star to place in their jar. If the child collects 15 stars by the end of the week, he or she is rewarded with a prize. This prize is rewarded by the parent or authority figure who is completing the exercise. It is important to stick to the 1 star per successful task completion. This reinforces the star system, and prevents the habit of negotiating, bartering, or a loss of control from the parent or authority figure. To ensure this exercise is effectively completed, be sure to use under the discretion of a mental health professional. 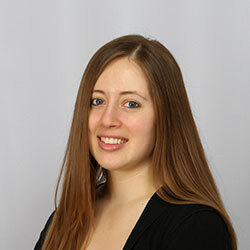 He or she will be able to help you understand the theory of positive reinforcement and how to effectively use the exercise to improve behavior skills for the child.